June 29, 2019, 4:00 pm. & 7:30 p.m.
A MAGICAL EXPERIENCE FOR THE AGES… FOR ALL AGES! As seen on ABC’s GOOD MORNING AMERICA, ESPN SPORTSCENTER, and INSIDE EDITION. A spectacle that combines Magic, Acrobatics, and Comedy to alter your perception of time and shatter your sense of what’s possible. 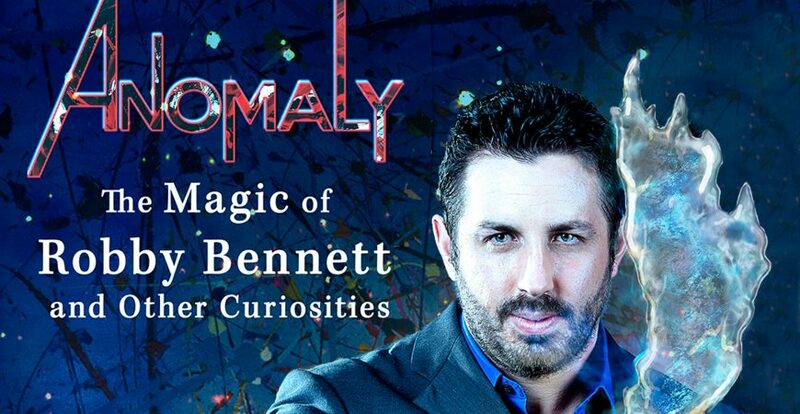 Presenting magician extraordinaire Robby Bennett! Robby has performed worldwide from the Las Vegas Strip to New York City to Africa. He has an unapologetic wit that makes his amazing skills even more unforgettable. Robby takes the stage with a masterful presence that brings audiences to their feet, emotionally charged, astounded, and laughing to tears. On June 29th at the Magik Theatre, Robby will perform his spellbinding routines with gripping stories and hilarious anecdotes as narration. The impossible will vanish before your eyes, and logic be forgotten as you sit in awe. Robby will even take someone from the audience and turn them into a genuine magician in a matter of minutes. This unique blend of fantasy and comedy makes this the kind of performance modern audiences have been waiting for. June 29, 2019 4:00 p.m.
June 29, 2019 9:30 p.m.